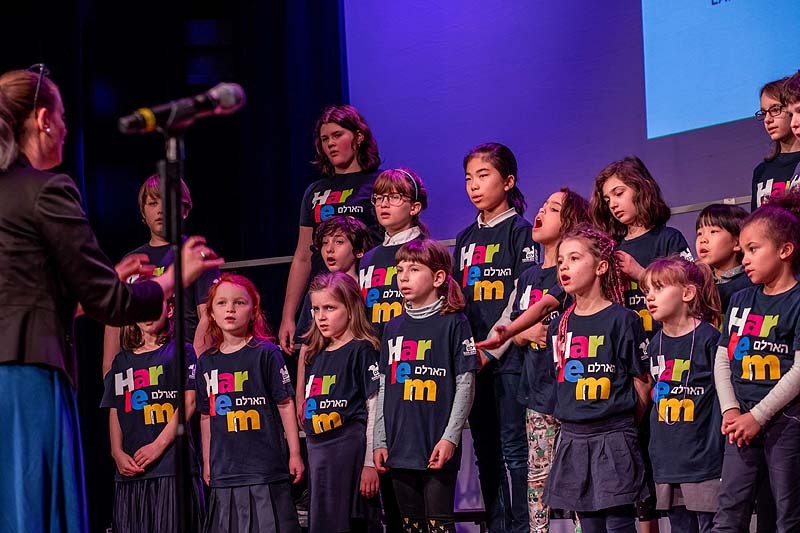 As part of “The Hebrew Choir Festival 2019,” six New York-area Hebrew Charter School and Jewish day school choirs gathered on Sunday at the 92nd Street Y to performed Hebrew songs honoring the memory of Arik Einstein, the late iconic singer whose work shaped the landscape of Israeli music for decades. 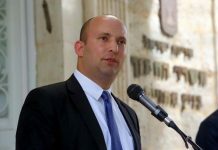 The event was organized by the Council for Hebrew Language and Culture in North America. 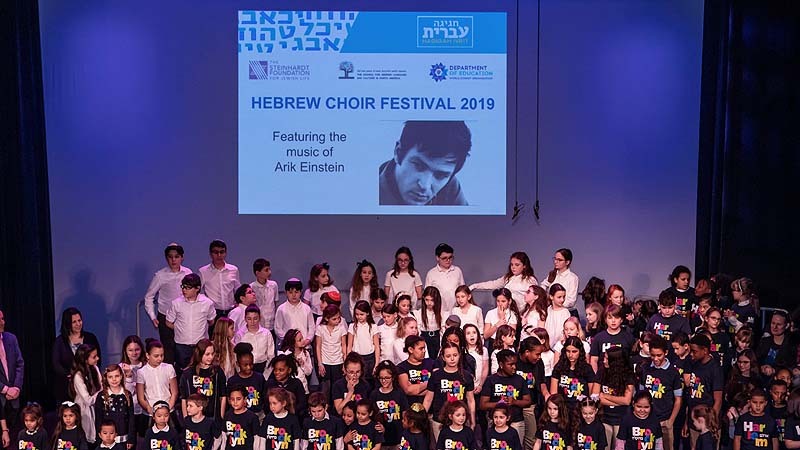 It featured the Kinneret Day School Choir, the HLA2 Choir Club, the Ramaz Lower School and Middle School Choirs, the Hebrew Language Academy Select Choir and the Harlem Hebrew Choir. 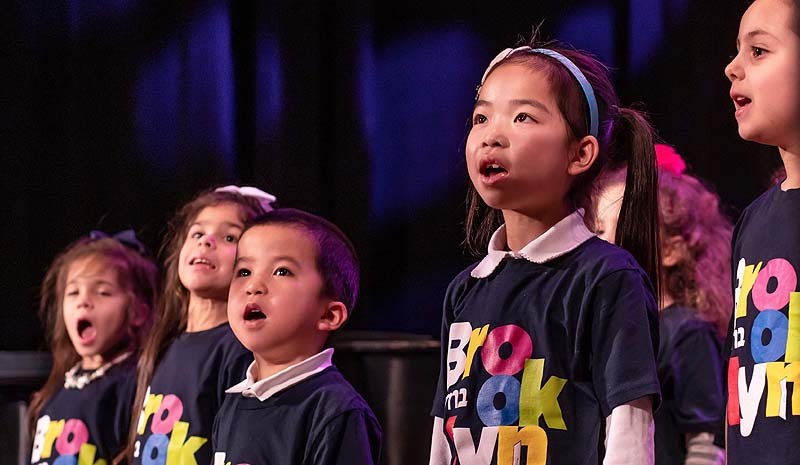 Sponsored by the Steinhardt Foundation for Jewish Life and the World Zionist Organization, the month-long festival features arts and educational events designed to immerse a wide range of Jewish audiences in the beauty of Hebrew and to encourage people throughout the Diaspora to learn the language of modern Israel as a way of creating a worldwide Jewish connection. 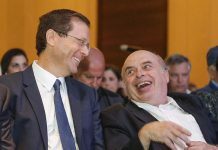 “Hebrew language and culture have been crucial parts of Jewish identity for centuries and our goal is to bring Jews together by reintroducing them to their Hebrew roots. 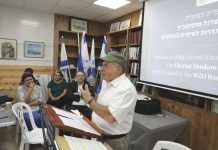 Teaching Hebrew to Americans of all backgrounds is a sure way to show concretely the vibrancy and humanity of Israeli life and culture,” Rabbi Ergas said.